Here's wonderful news for you, Seek the Uniq fanatics! 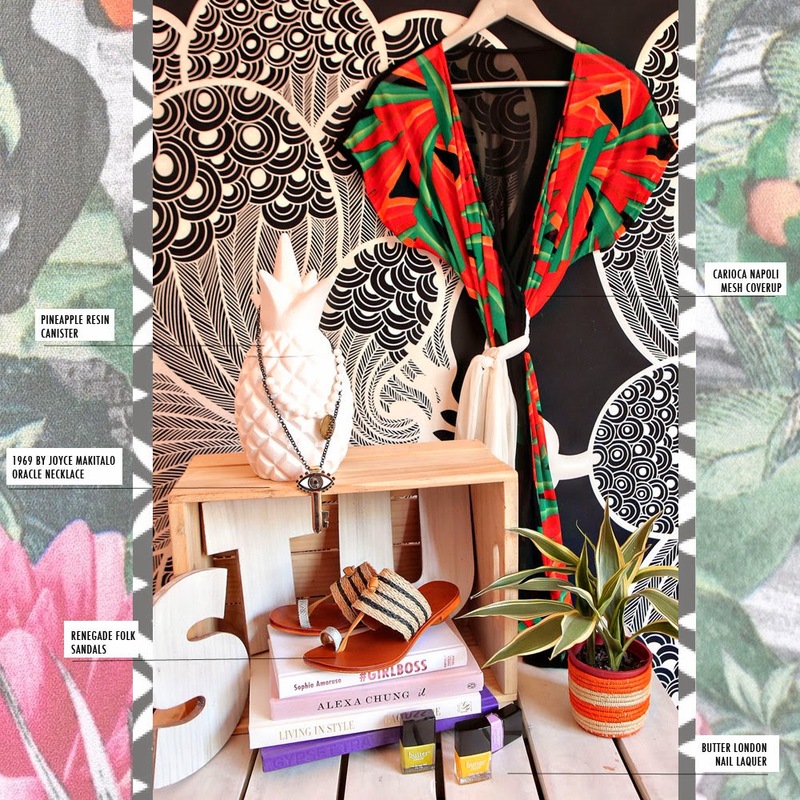 You can make all your STU finds work for you to get a chance to win a carefully curated showcase of goodies from Seek the Uniq's tastemakers and purveyors of style - Mikka, Van and Mariel. 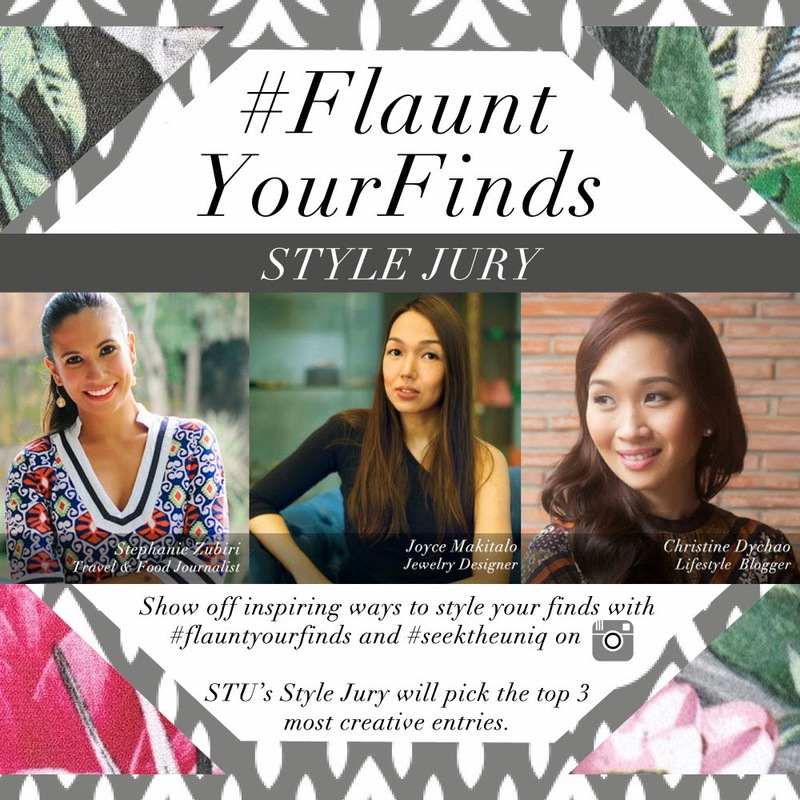 Simply join STU's first ever Flaunt Your Finds contest on Instagram, and you might just get your hands on that sold out piece you've been wanting forever, that you can't seem to add to your cart because so many girls have beat you to it. We're talking something like this Gypset Donya showcase: A Carioca cover-up, Renegade Folk sandals, a 1969 by Joyce Makitalo necklace, a pineapple resin canister and Butter London lacquer for a total look that says, "I'm bidding Summer 2014 with a huge splash of style! ", with matching cocktail on hand. All three winners will win a crateful of covetable, limited edition pieces from Seek The Uniq. I've been tasked to help choose 3 winners, along with two beautiful, accomplished and stylish ladies - Stephanie Zubiri and Joyce Makitalo. So exciting! Ok, so let me cut to the chase, here's how to join @shopseektheuniq's #flauntyourfinds contest on IG! 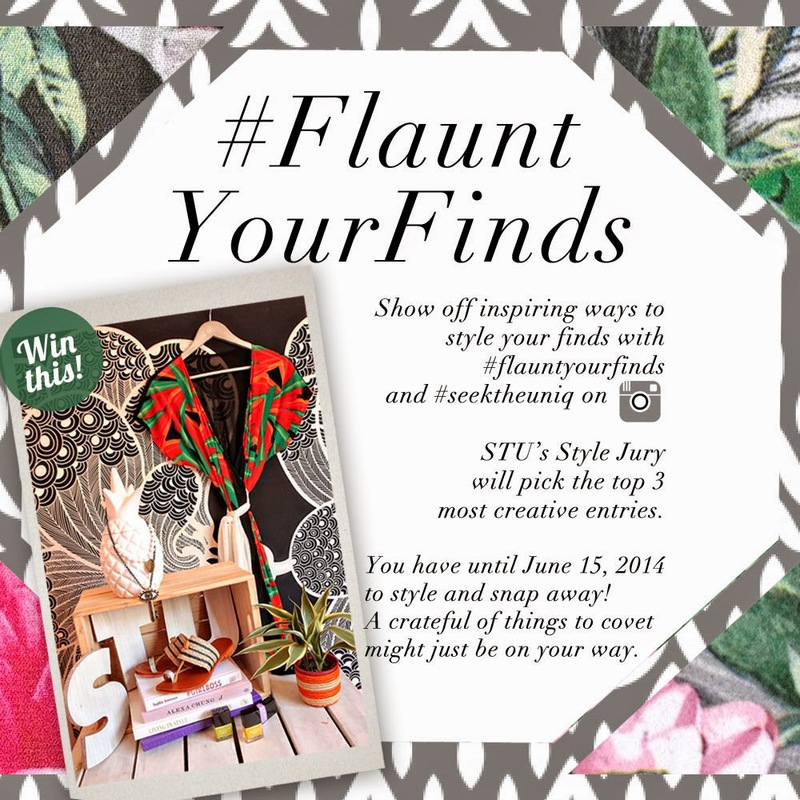 - Gather your STU Finds and think of a way on how you can present and flaunt it on IG with style and creativity. - Follow @shopseektheuniq and tag your posts with #flauntyourfinds and #seektheuniq. Make sure your profile is on public viewing so we can all see it! - The Top 3 most creative entries will win a crateful of covetable, limited edition pieces from Seek The Uniq. - Promo ends on 15 June 2014, 12MN. - Promo is open WORLDWIDE. - You can share as many entries as you wish. That's it! So easy! We cannot wait to take a look at your entries!